You can use it for both tension and compression. indication functions for greater usability. improves reproducibility in hand-held use. Internal memory (1000) function, and more. 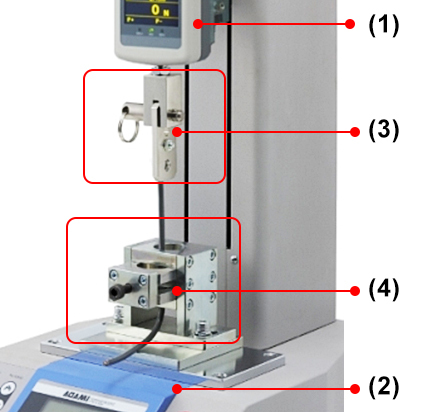 The tester helps easy and accurate coefficient of friction (COF) tests for paper, film etc. 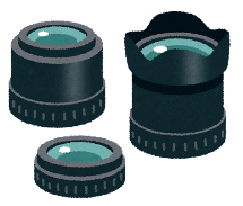 Especially, the test for film is accordance with a part of JIS K7125(1999). Analysis is more efficient as the test results can be drawn into a graph and be calculated coefficient automatically with an including software. automatically at the same time on PC. Horizontal Motorized Model on a limited space. - Materials for grips - Building materials like a tile and flooring| - etc. and drink (a retort pouch), medical supplies (an IV bag) and cardboard. is possible to be measured in accordance with a part of JIS Z0238. The system can be set pressing force and time by digital. 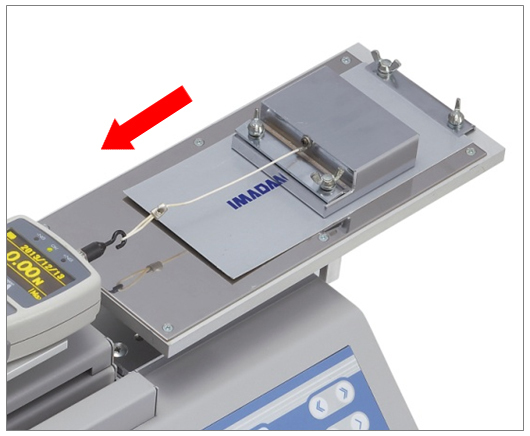 Testing system for sticking strength of thin samples such as packaging film for food and many others. Easy to use. High measurement efficiency. 2. Place the test specimen on the fixture. 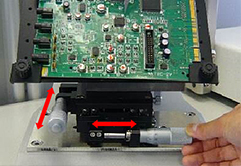 the film was stuck through is indicated. These are examples of film force measurement. Films can be used in many industries. Our products help to measure the many types of force such as durability, adhesion, peeling and so on. They are efficient for QC and R&D fields. snacks and foods, our products digitize the adhesive force. 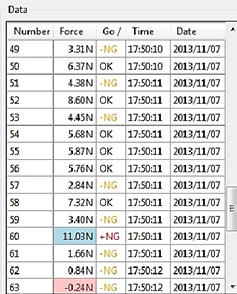 They are useful for QC field to set the required standard value. Quality Control is Possible for Variety of Samples. Digitizing coefficient of friction for packing materials. It helps to analyze the touching and the slipping condition of the materials. The required fixture: COF series. film and so on by sticking a pin. due to catch the peak force. the strength of the breaking. The required fixture FC series, GC-60/100 etc. managed by measuring the tension on the equipment. plastic containers buckling and so on. 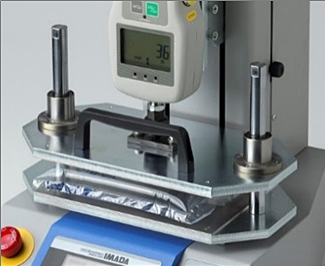 Our products meet multiple measuring needs not only for handy and simple tests but also for stable and accurate tests. various packing bags and boxes. bottoms of bonding cardboard boxes. Testing bending strength by measuring at cardboard bending force. (buckling force) by loading compress direction force. accurate chart for peel strength analysis. Configuration " 90 degree peel test "
It keeps peeling angle at 180 degree. Heat sealing part is pulled at 180 degree. nearly real conditions of opening it. 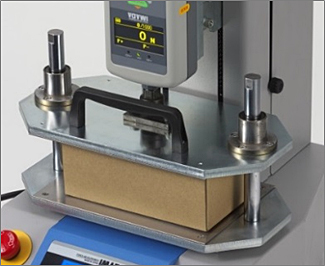 Measure peeling strength for QFP lead fixed on a circuit board or for chip component solder. 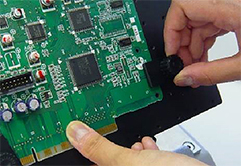 various size circuit boards can be tilt up 45 degree or 90 degree angle. 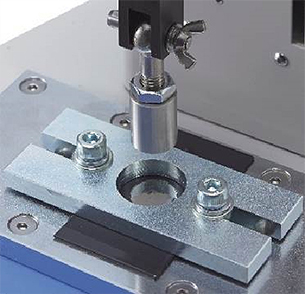 Accurate measurements are realized with X-Y table helping fine position adjustment right, left, backward and forward. Measure QFP lead soldier joint strength. Fix a circuit board at 45 degree. holding peak values on the force gauge. hold various size circuit boards. and forward, right and left on XY stage. * No.3 can be sold the each part of combination. off a chip component at between 5 and 30 mm per minute. 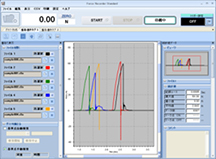 The tip R 0.5 fulfills the measurement in accordance with JIS standard. Testing methods for paints-Part 5: Mechanical property of film-Section 7: Adhesion test (Pull-off method). 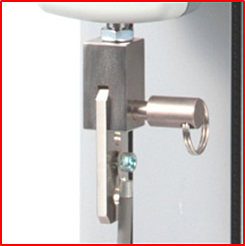 The high follow-up performance force gauge does not miss the moment peeled the coating off. (2000data/sec) of the force gauge captures instant peak value precisely. 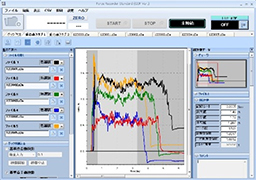 Install an included software in ZT series to PC and it is possible to save peeling force, measurement date, OK/NG judgment results and so on. sample and wait for specified time. Put and hold the sample on the test stand. Apply the peeling head to the force gauge with a pin. Manipulate the test stand, pull the peeling head up and peel the coating surface. 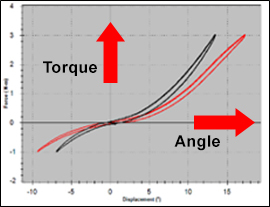 It realizes easy analyses of torque (rotating force) and angle relationships. The remarkable points are the high repeatability by 2000 data/sec sampling rate and the user friendly operation system. 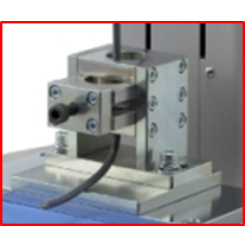 The unit enables to measure operating torque and angles of two-wheeler accelerators, twisting characteristic such as circuit boards non-woven fabrics etc. 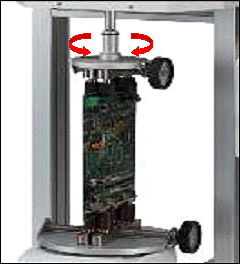 What is the sample for torque-angle measurement? or feeling touch at twisting. We prepare the various shape and material jigs needed sample fixations. 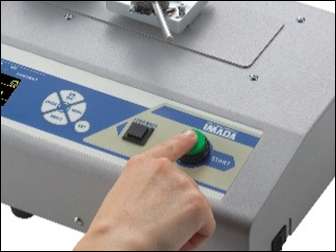 IMADA provides force measurements of wires, cables and electric cords such as wire crimp strength test, cable tensile strength test, wire coating breaking strength test and others. One button realizes from testing to data saving. Easy mode selection “BREAK” and “KEEP”. 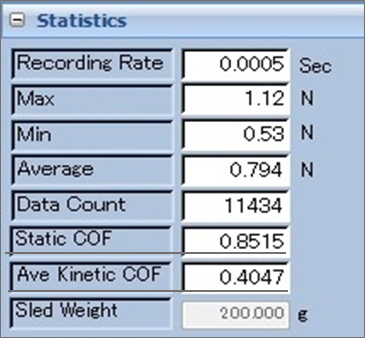 Speedy settings by registering test conditions. The stored patterns are up to 26 conditions. conditions by the included software. 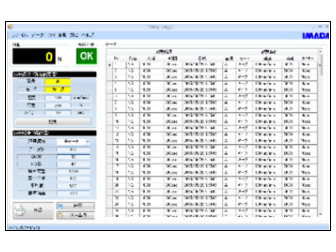 The test condition is able to be stored with the result. The statistics (Max., Min., Ave. etc.) can be seen for each sample on PC. Stored data can be transferred to PC collectively. Date and time are also automatically stored.